← I Want a Warm and Cozy Living Room! 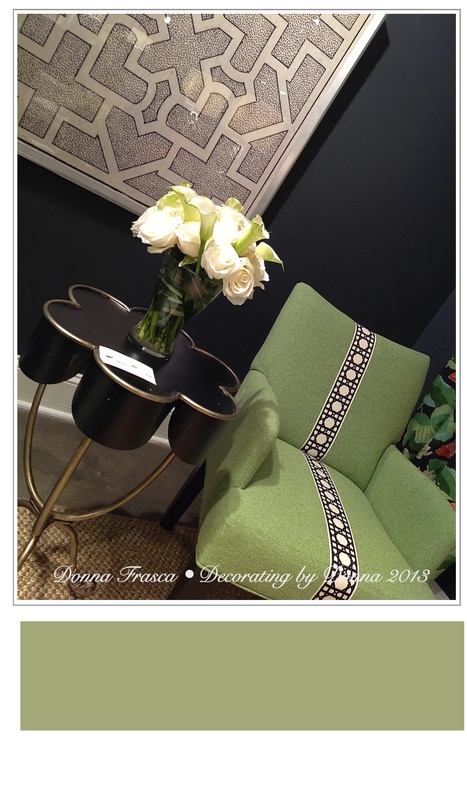 As Designers come back from High Point market and are very eager to share their Fall finds and colors to watch, I love to read about what designs and colors inspired them. 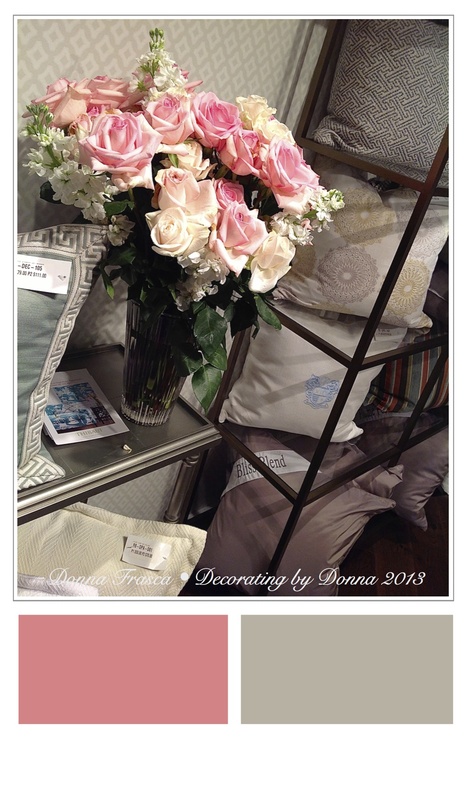 You ask ten different Designers what the next and upcoming color trend will be and you’ll get ten different answers. 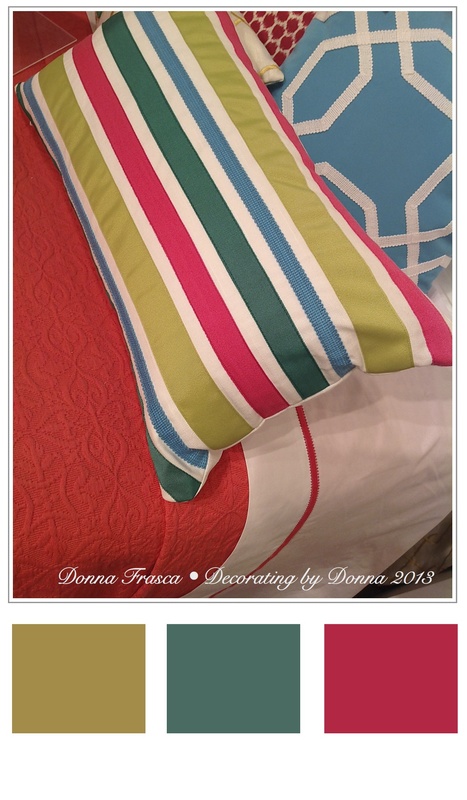 I think we can all agree on a handful of the obvious color finds and the not so obvious. 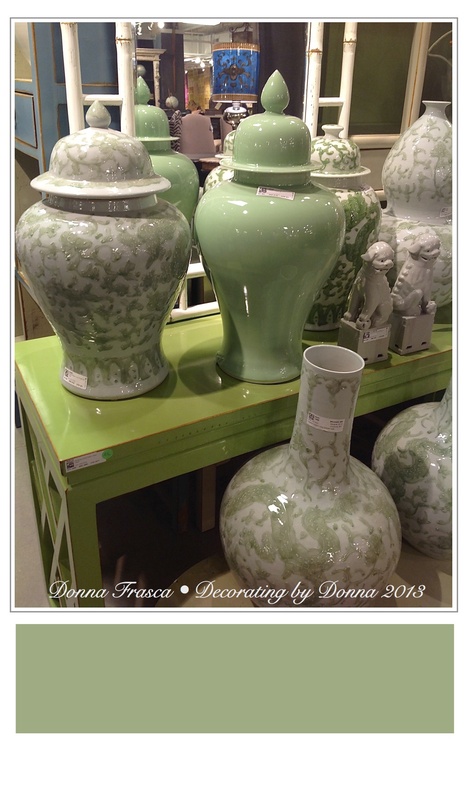 Here is a stack of very beautiful color finds from High Point Market and I can see these fitting very well into the home. 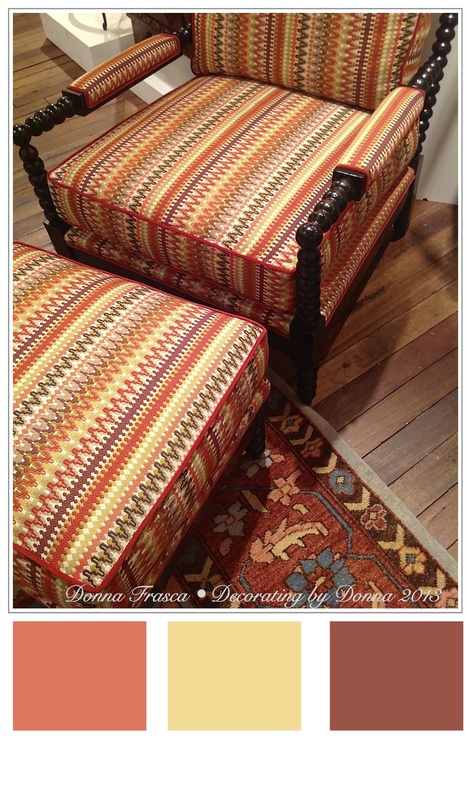 Of course the CR Laine Showroom always has amazing fabrics and colors to please just about everyone. Here you have the Cassidy Chair in Hybrid Grass which was pretty amazing. I thought the color was very likable and the fabric will certainly be a conversational piece in any room. Now Lisa Kahn Allen ‘s Chelsea House had to have some of the most colorful vignettes. She had colors from this gorgeous vibrant red to a room that had soft pastels in peach and green. 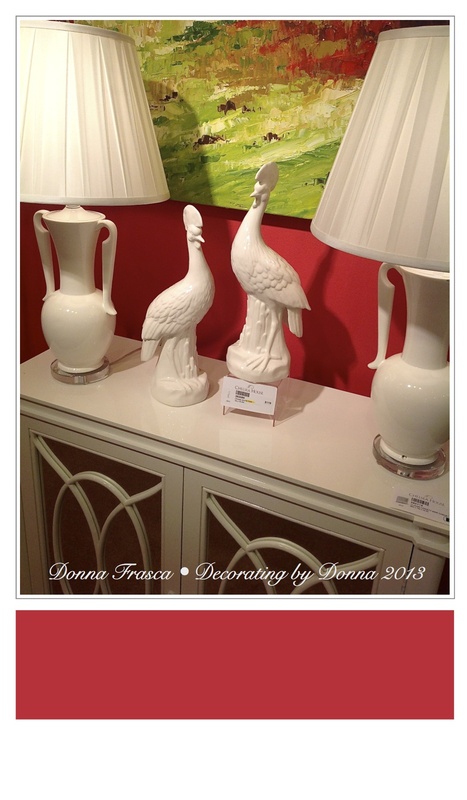 It was hard to say which vignette in the Chelsea House was my favorite but this red was certainly eye-catching. John Strauss is always a must see on my color list. He had this amazing deep blue wall and I wish I knew the name of it because it would be a must have in my clients homes. I’ve chosen blues that were very close to this so I know that this is a sure thing for the home. His furniture is another amazement. When you look at his designs you can just about feel the emotion that he put into it as the piece was being created. The presence of orange was still prominent this year and this hue was echoed throughout the showrooms in different variations but still very pretty. This is another hue that would be comfortable for the home. I kept my eye out for unusual color combos that would be sure to catch the eye. They all were bright and saturated but certainly again, very useable for the home. I loved this green because it was a cross between a minty green and a sage. This is and has been another hue that is comfortable for the home. 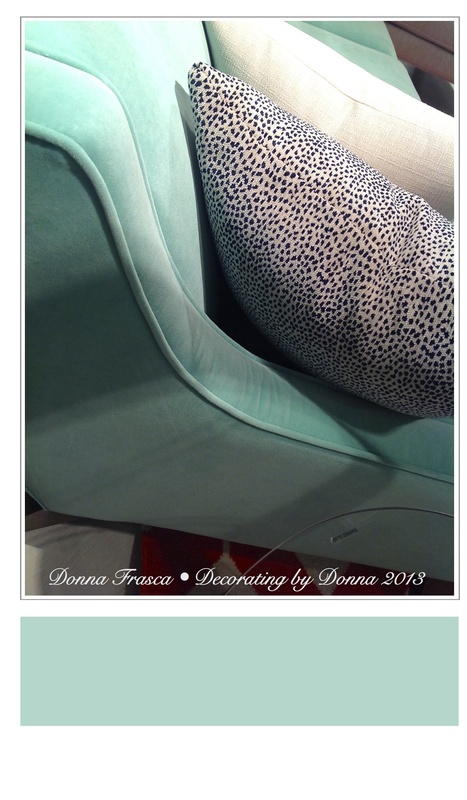 A little spot of Tiffany Blue which is a popular color choice for a girls room. I’ve also used this color for Caribbean themed room as recently as last week. Again, a very likable color for the home. Pink clearly had a presence though out several showrooms. Some were bright and some were brighter. I was very comfortable with a pink that had just enough yellow in it to keep it warm yet pink enough to mesh well with the gray trends that are still going strong. The pink that I liked the most oddly enough was in this boutique of flowers and you can see how it would look with gray. Landon Shockey of the Gilded Stag had an amazing line! 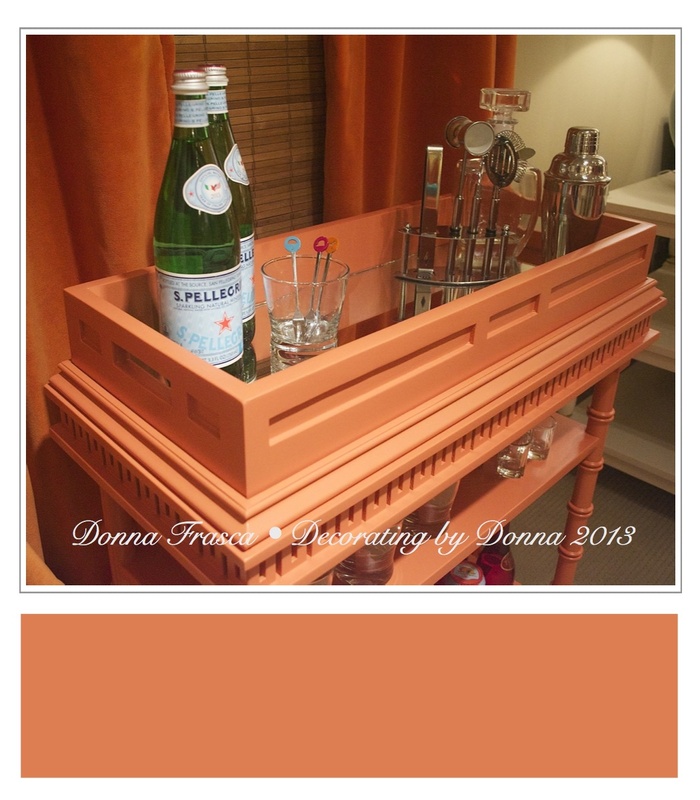 Here his Shaftesbury Cart is shown in a coral but he offers several custom colors to choose from. 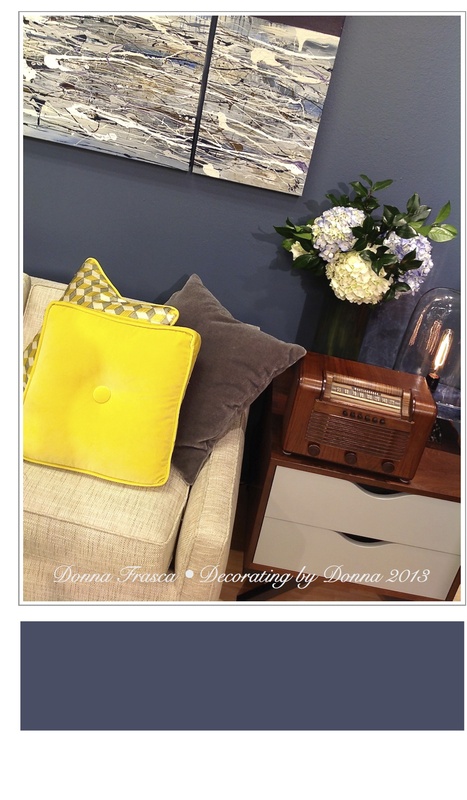 I really loved this piece and it’s a great way to add an accent color to your home. Now Joe Ruggiero of the Joe Ruggiero Collection is another must see on my list. 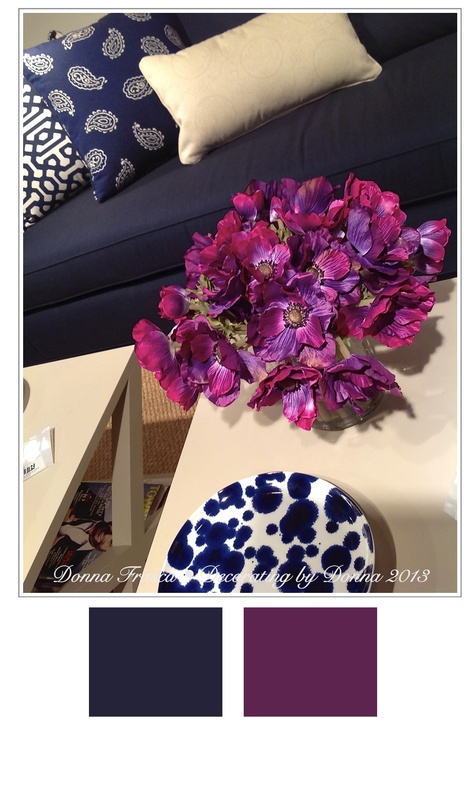 This season he had the introduction of indigo blue which is probably the #1 best color spot at High Point Market this year. It’s not trendy, it’s classic. The Sunbrella fabrics are high quality as always and blue is just still the #1 hue to have in the home – in any way, shape for form. Indigo can be coupled with so many other colors but my favorite, would be to match it up with purple for a very high impact. I hope you all enjoyed my colors spots from High Point this year. What do you think of them? 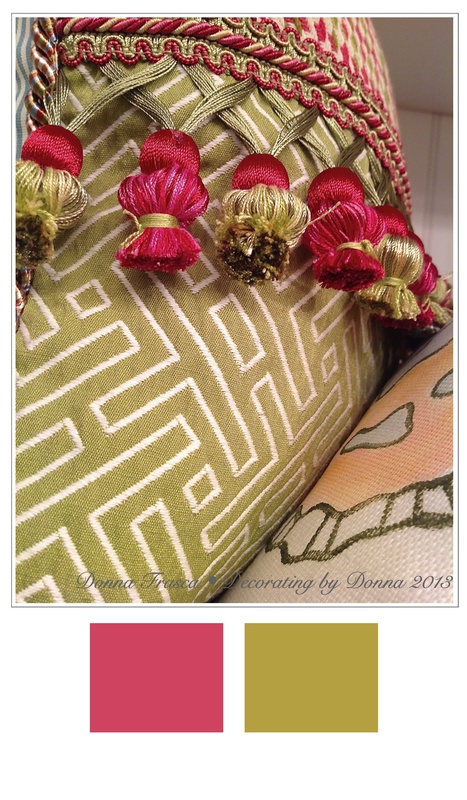 This entry was posted in Color, CR Laine Furniture, Forecasting, HIgh Point Market and tagged color finds, color trends, decor, design, fall colors, fall trends, high point, high point highlights, high point market, high point trends, interior decorating, top finds. Bookmark the permalink.